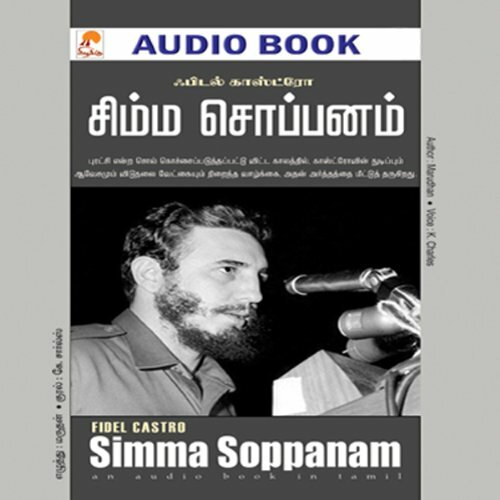 An audiobook in Tamil language. He was quite possibly the most charismatic figure of the 20th century, a heroic figure that stood for the aspirations of the downtrodden, a true symbol of the triumph of the proletariat over dictatorships and imperialistic forces. Fidel Castro. Mr. Cuba. The strong man of that country who has defied Big Brother USA for over five decades, and whose thrilling tale of bravado and daredevilry, leading to the dismantling of Batista's dictatorship, has made him the unquestioned hero of millions. Is Fidel Castro a Communist? Is he trying to perpetuate one-family rule in Cuba? Why did the CIA so desperately hunt for him before he came to power? How did Cuba under Castro survive the sanctions and embargoes imposed by the U.S.? Learn all about Castro and his Cuba in this exciting audiobook, based on the talented Marudhan's graphic account of his life. அனைவரும் தெரிந்து கொள்ள வேண்டிய கதை இது! I am still in the hangover from this book. It has impacted me immensly. The powerful narration adds the crown to this book. Marudhan and Charles deserve a big credit to have expanded the reach of Fidel and his fame to tamil people. If you never read anything about castro. Get this book asap. This will make you change your view about people.